It is with deep sadness that we announce the passing of Connie Lloyd. She passed away peacefully with her loving husband of 50 years Nawton, sons Mark & Bill (Meghan) and grandson Kyle by her side. She will be remembered fondly by her children Melody, John (predeceased), Mark and Susan (Tom), her brothers, Ken (Rosemary), Wally (Mary), Jack & Art (predeceased), her sisters-in-law and brothers-in-law Jim (Beatrice), Stella (Fred), Gord (Pat), Nora (predeceased) and Elva (predeceased). She was predeceased by her parents Harry and Susan Dickenson. 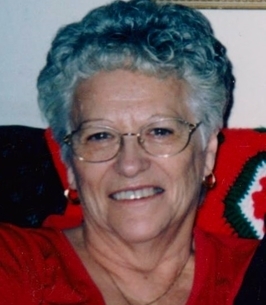 Connie was a member of Terra Nova UCW and will be remembered by all of her friends on River Road. 7-9 p.m. and on Friday from 12-1 p.m. The funeral service will be held in the funeral home chapel on Friday, February 3, 2017 at 1:00 p.m. A reception will follow at the Shelburne Legion. Spring interment at Horning’s Mills Cemetery. In lieu of flowers, donations to the Canadian Cancer Society would be appreciated. We encourage you to share any memorable photos or stories about Constance. All tributes placed on and purchased through this memorial website will remain on in perpetuity for future generations. During this difficult time I would like to extend my most heartfelt sympathies. If you need a friend to help you through this, you know who to call.